The Permian Basin, an oil field that stretches 250 miles across West Texas and southeastern New Mexico, has been producing oil since the 1920s. As with most sources of oil, the Permian appeared to have ran its course by the turn of the 21st century, when production sank beneath a million barrels per day (BPD). Now, thanks to new extraction methods, production is booming again — and some say the oil field could soon become one of the top five most productive in world. This sudden jump in productivity could have major implications not just for the US oil industry, but on the balance of power on the geopolitical stage. But there’s another consequence of the new oil boom that many might not have expected: it’s giving the freight rail industry a huge boost. Freight traffic in the Carlsbad, NM, area has almost tripled during the Permian Basin boom, reaching approximately 400 rail cars every day in 2017, up from just 150 cars each day the previous year. The company reaping the economic benefits from this tremendous surge is Burlington Northern Santa Fe (BNSF), which took control of the rail lines used to connect wells and refineries around the time of the boom. All this new traffic has give BNSF enough funding to support considerable repairs to these rail lines, spending $3.4 billion in 2018 on rail maintenance and measures to avoid unnecessary outages and delays. These efforts have included the replacement of around 36 miles of rail, along with more than 43,000 switches, bridges and ties. Such extensive repairs all add up to amazing news in an industry where declining infrastructure can be a drain on profitability. It’s BNSF that stands to benefit from the boom in the Permian Basin at the moment, but if production continues to soar like some spectators expect it to, these benefits could spread to the rest of the American rail industry rather quickly. Optimistic projections have argued it’s possible that the Southwestern oil field could be out-producing Saudi Arabia’s humongous Ghawar oil field within the next decade. 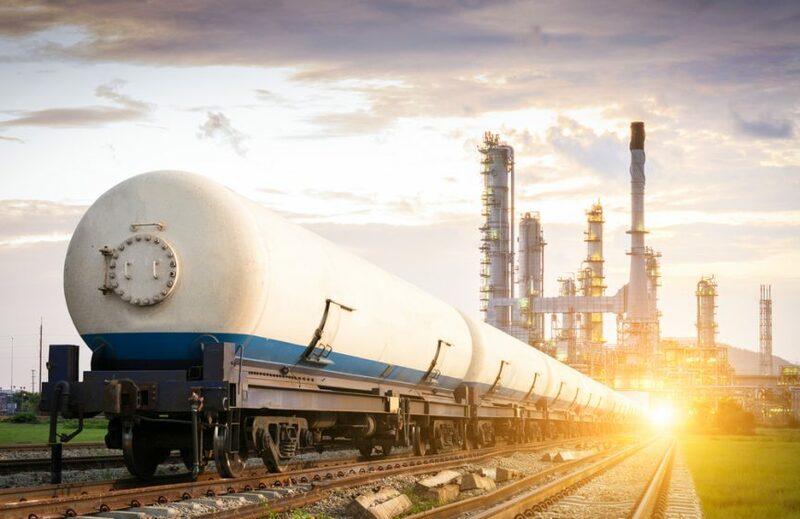 That’s very good news for the freight rail industry, which American oil has relied on for decades as the standard mode of transport for unrefined product. As oil fields from across the country take note of the methods used to improve production at the Permian Basin — including fracking, data analysis, and horizontal drilling — similar spikes could be seen at rigs across the country, creating even higher demand for freight transport. As rail companies work to provide the efficient supply chain that a booming oil industry needs to maximize profits and remain a competitive force in the global economy, they need to follow BNSF’s lead in making investments that will prevent unnecessary delays. In the Southwest, where a hot, dry climate tends to produce plenty of sand and grime that can stick to rails and switches, part of that investment has to be dedicated to rail switch lubrication. And even in the most extreme of conditions, Midwest Industrial Supply, Inc., has you covered. Midwest’s patented rail switch lubrication technology can help ensure that a transport operation moves confidently and smoothly at all times. Our Glidex® solution guarantees optimal track conditions while consistently outperforming graphite or petroleum. That’s because it stays on the surface, meaning it requires fewer applications and less manpower. Easy to apply, environmentally friendly products like Glidex prevent delays — or worse, accidents — from hurting your bottom line when it should be at its healthiest. Boom times in the Permian Basin should mean boom times for American rail — with Midwest’s help, the rail industry should be able to take full advantage.